In 1838, George Palmer Putnam and John Wiley formed "Wiley and Putnam" in New York City. The publishing firm prospered, and Putnam opened a branch office in London three years later, an innovative move for an American publishing company at the time. 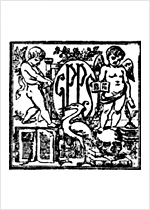 The partnership with Wiley ended in 1848, but continued to do a robust business, and in 1872, the firm was renamed "G.P. Putnam's Sons." Putnam's focussed on publishing popular illustrated titles. Putnam's was purchased by the Penguin Group in 1996, and is now a pair of imprints: G.P. Putnam's Sons Books for Young Readers, and G.P. Putnam's Sons Hardcover. Putnam's does not accept simultaneous submissions, please submit through an agency.